Research fellow at the Institute of Social Sciences of the University of Lisbon. 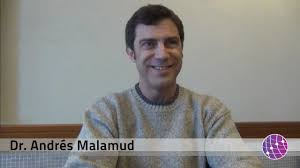 Prof. Malamud received a Bachelor Degree from the University of Buenos Aires and a Ph.D. in Political and Social Sciences from the European University Institute, Florence. His areas of interest include comparative regional integration, government institutions and parties, and European and Latin American politics. He has conducted research and lectured at universities in Argentina, Brazil, Germany, Italy, Mexico, Portugal and Spain. His work has been published in books and scholarly journals such as Latin American Research Review, Cambridge Review of International Affairs, Latin American Politics and Society, Journal of European Integration, and European Political Science. He has served as member of the executive committee of the Latin American Political Science Association and official representative to the European Consortium for Political Research.